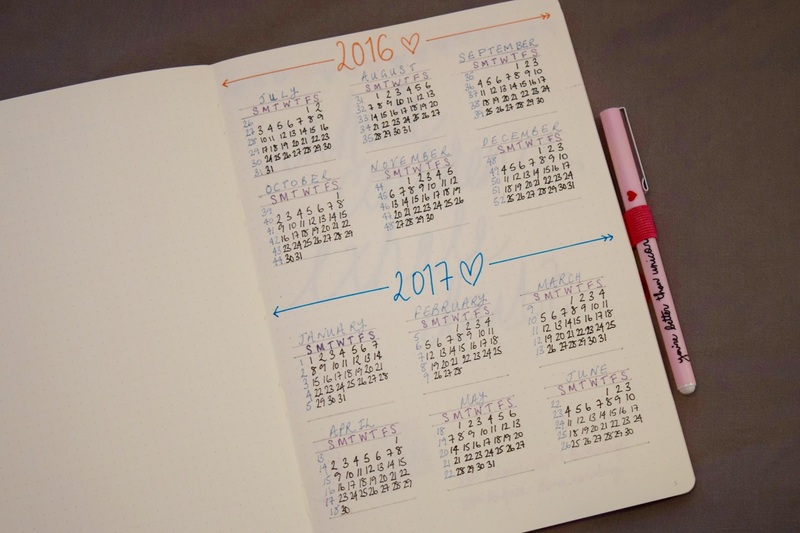 If you haven't heard of Bullet Journals, where have you been?! They are such a big thing now! WARNING: This is one hell of a hefty post, sorry, not sorry. 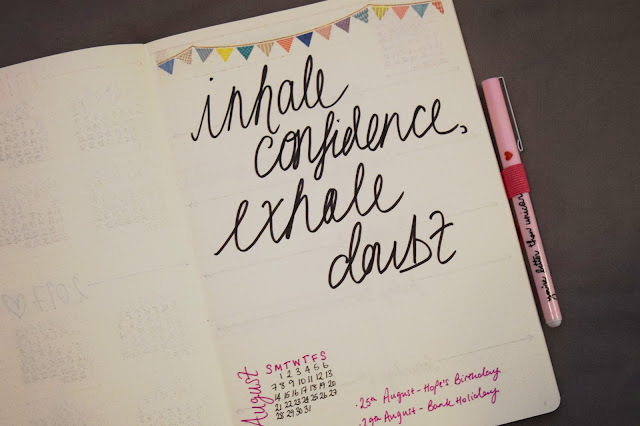 I have been doing my current one for 3 months and I am completely addicted, so much so that I now use two Bullet Journals, one for my day to day life and one for my "collections". I did a hell of a lot of research before I started mine, I'm talking YouTube, Pinterest, Instagram and Google, I bit the bullet (no pun intended) and bought a relatively cheap squared notebook and got started. It was very much an experimentation at this point, I used different layouts that I thought might work for me and I also put my collections with this but later decided this just wasn't for me! 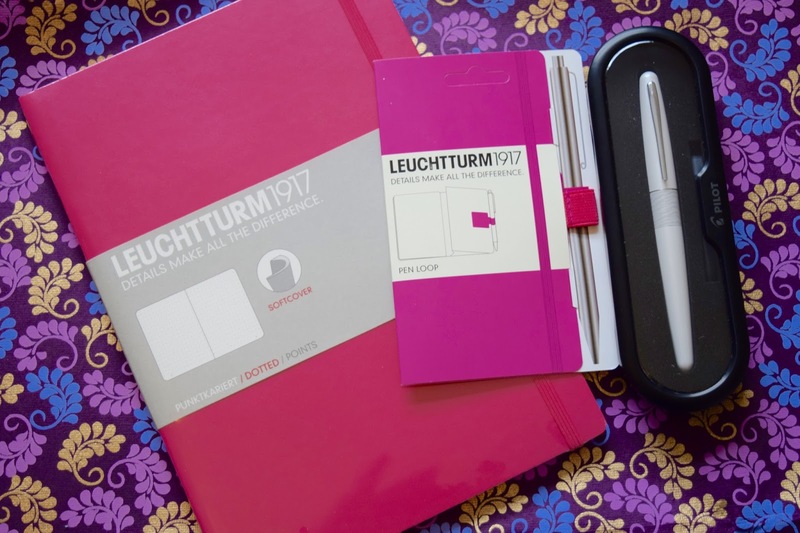 I have now been sent the beautiful new Leuchtturm B5 Notebook*, Pink Pen Loop* and Pilot Fountain Pen* in White from J.B.Welly. I honestly think I'm in love. It also gives me the opportunity to start ready for August in a way that I know my Bullet Journal works for me. You need supplies: I know there are people, such as myself, who already have a lot of the things they already need, this did not stop me! I would suggest getting yourself either a dot grid or squared notebook, such as one of the Leuchtturm's, a pack of fineliners (my favourite are actually from Tesco), a couple of coloured pens (I use the Papermate Flair) and perhaps some washi tape if some takes your fancy. 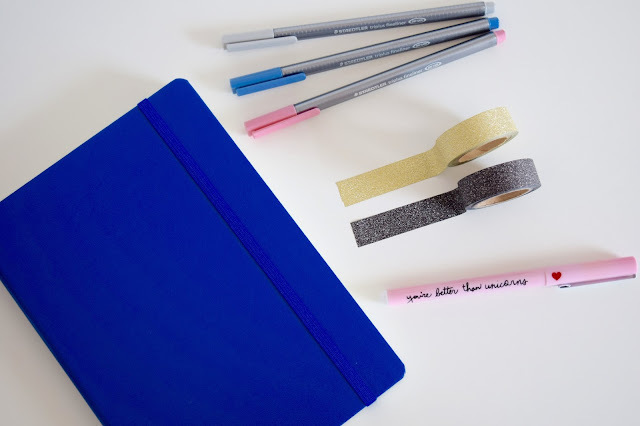 You can check out my post on 17 Ways To Decorate Your Bullet Journal for more ideas. Research: Look around on Pinterest and Instagram, you'll get tonnes of inspiration! You can check out my Bullet Journal Pinterest Board for the inspiration I use. 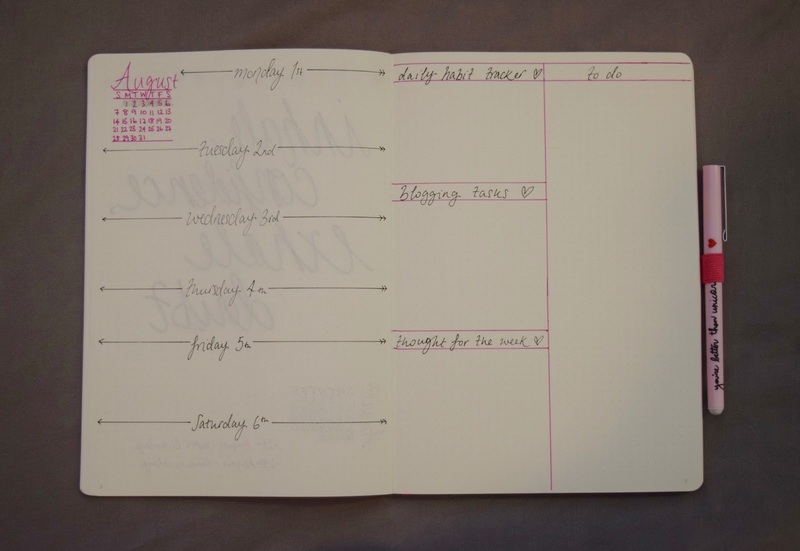 Experiment: Absolutely no one's Bullet Journal is perfect, nor should it be, but that's half the fun of it. It will take time to find what is right for you. The start of my first Bullet Journal is a state! Plan Your Set Up: I find it easiest to make a note of what I want to put in my Bullet Journal, just in case I want to research it or come back to it later. I will often mind map how I'm going to do it and plan it so, for me, it's perfect! Unless you have a clear idea of what you want then you can just put your pen to paper straight away. Create The Backbone: I would initially include pages such as the Index, a Key, a Future Log, a Monthly Log, a Daily/Weekly Log and a To Do list. I include all of these in my Bullet Journal in some way, just perhaps not under those headings. Keep Calm: Don't overwhelm yourself to start with. It is so easy to dive in head first and cram as much as you can into it, and do as much as you can, but I would not suggest this is a good way to go, personally. It's like Marmite, you could love it or hate it! Collections: My favourite part has got to be doing my collections. Everything from keeping track of money to weight loss, motivational quotes to my goals, travel plans to what I'm doing next week. The list is honestly endless, it brings out creativity I never thought I had and I have a beautiful notebook because of it! Now on to how good the Leuchtturm B5 is...it's beautiful, it really is. It's bigger than the A5 and also thinner. Now for me, and my layout, the bigger page is so much better as it means I can fit more in and therefore write more! 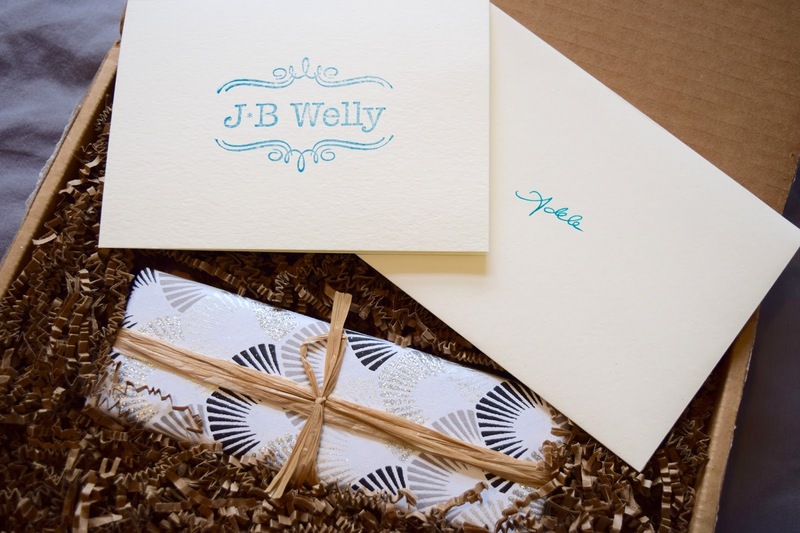 The paper quality is great and the dot grid also means more freedom with writing on the page. I do find I have to pick my choice of pen wisely as a lot of the time I do get shadowing through the other side of the page which can be seen in my pictures. You can also see I popped the pen loop in with this notebook, I will say it is smaller than I expected, it doesn't fit all pens but this Ban.Do pen conveniently fits in it! I'm also completely in love with the Pilot MR Metropolitan Fountain Pen. The medium nib is perfect for me and it is an absolute dream to write with! I know a lot of people do enjoy writing with fountain pens but for me, I think it would be more for my notes on a day to day basis, I wouldn't be doing any fancy calligraphy just yet! If you are looking for a nice affordable fountain pen then I would highly recommend this one as it is such great quality. They also do rollerball pens which I have been eyeing up! I must add that John from J.B.Welly has outstanding customer service, and for someone who works in retail that is saying something! 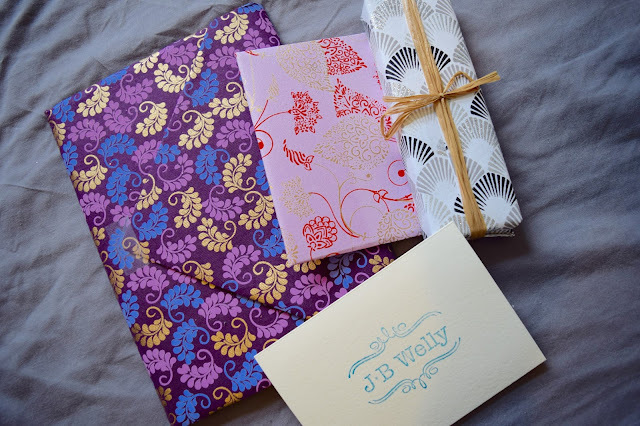 I love the little touches, like a Thank You card and the most stunning wrapping paper which I was so careful to open so I could reuse it! The wrapping paper is hand made in India and you can tell how much care John puts in to each package, as if it is a gift to yourself and it makes the joy of opening it so much more! A massive Thank You to John who kindly sent over these products. I cannot recommend J.B.Welly enough for all your Bullet Journal needs! I haven't done a recipe in absolutely ages. This one though is an absolute crowd pleaser, my family loved them and we took them to a Housewarming Party where they were a hit too. 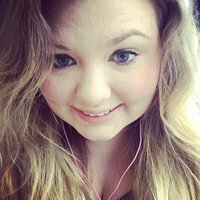 My Boyfriend and I have been trying to do more cooking and we constantly find loads of recipes on Facebook that we want to try. This just so happened to be one of them, and it is ridiculously easy. And, my god, they taste like heaven! We've made them twice already and I cannot wait to make them again, since everyone is asking for them! Add the egg yolk and mix well. Then add the flour and vanilla extract. 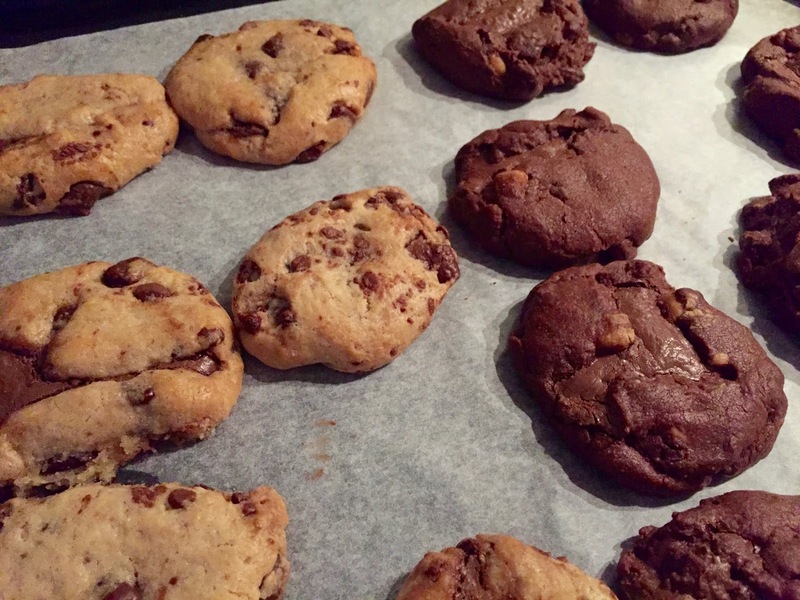 Add in all the chocolate chips you can, depending on how much of a chocolate overload you want! Mix all of this together! 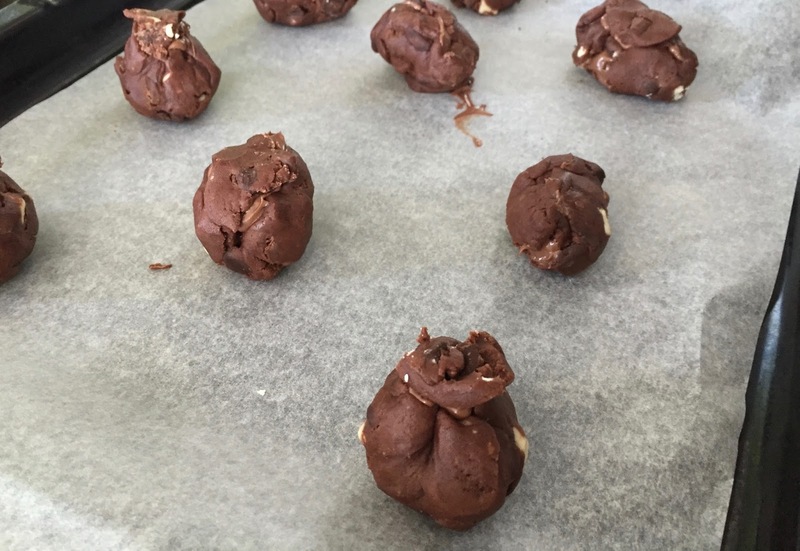 On a floured surface, roll the cookie dough into a sausage shape, depending on how large you want the cookies, for this recipe I would recommend making the sausage shape short and fat as you need to put Nutella in the middle! Wrap in cling film and put in the fridge for 1 hour. Take it out and cut into discs, flatten them out a bit and put a spoonful of Nutella in the middle and roll into a ball, making sure the Nutella is inside the cookie dough ball! 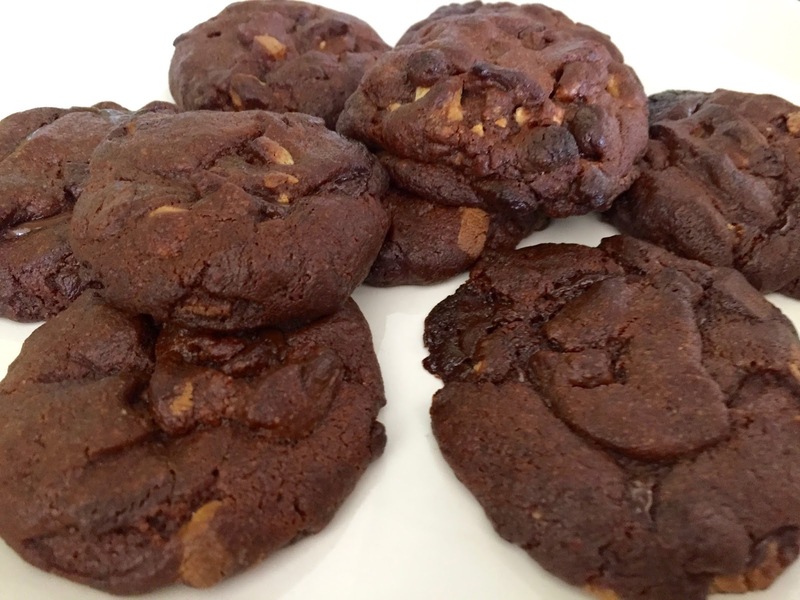 Pop some greaseproof paper on a baking tray and make all of your cookies. Bake for 15 minutes at 190C. And enjoy! 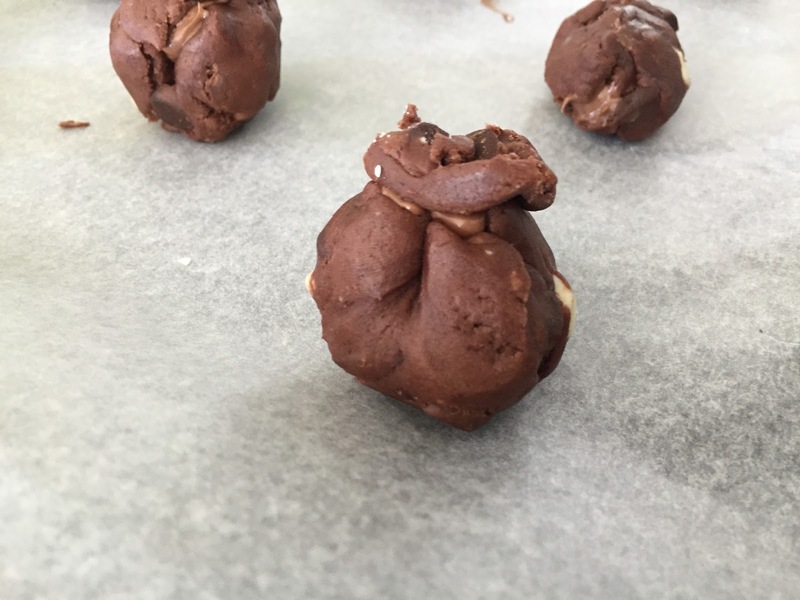 We made the error of using triple chocolate cookie dough to start with but it is simply too brittle to keep the Nutella in the middle and form a ball! So I would recommend sticking to your classic cookie dough. Helllllo! So I'm not doing well with this whole posting regularly on here, but I've got an exciting post today with gift ideas for Father's Day. With Father's Day right around the corner, and I mean it's this weekend for anyone who may have forgotten. So I thought I would share a few ideas of what you could get! Aftershave - A Classic! If you know what your Dad would like in a scent then there are always some great deals going on to get some Aftershave at a decent price! 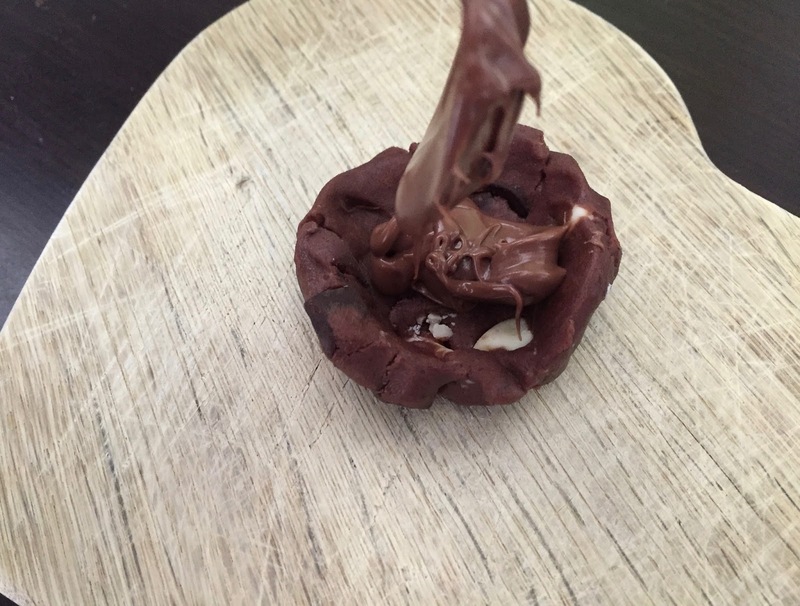 Chocolate - always a winner! Need I say more?! Beer or Wine or some form of alcoholic beverage - You know the sort. Whatever your Dad's favourite drink is, get him a bottle of that. I'm sure he would be very grateful! If your Dad is a businessman or often has to wear a shirt and cufflinks (well duh!) then a new set of cufflinks would be perfect. 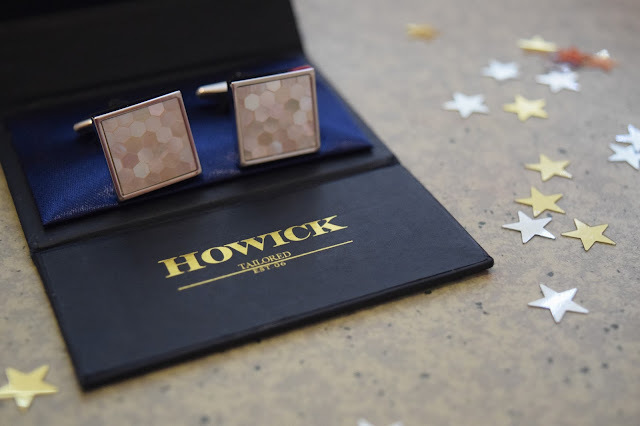 These Howick Cufflinks from House of Fraser would be perfect. 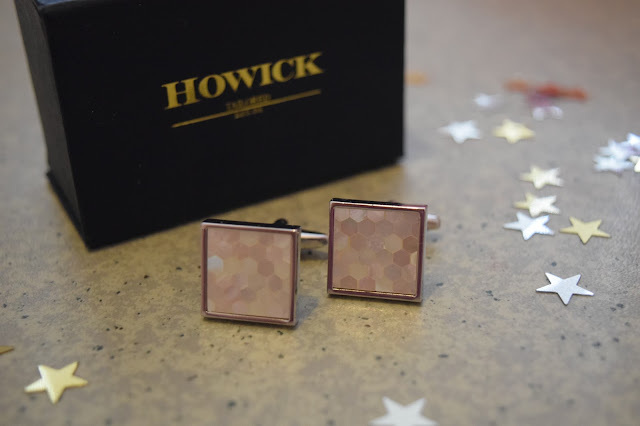 The Howick Tailored Square Honeycomb Mother of Pearl cufflinks* are the perfect gift and are only £15.40. Look how classy these are?! Gift Voucher - a bit of a cop out if you ask me but at least your Dad will be able to go and choose something he loves. The chances are most Father's will be on the go and will need a few items to always carry around. This pencil case is perfect to carry around any pens or accessories he may need to. 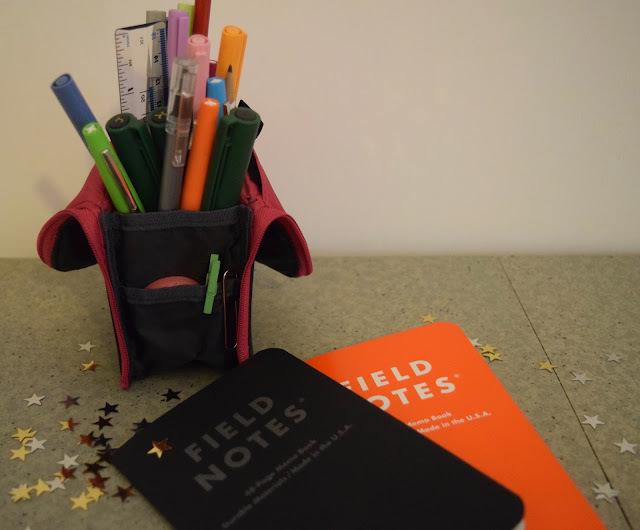 This is the Kokuyo NeoCritz Transformer pencil case** from Bureau Direct can hold a great deal and has lots of little pockets for when you want to stand it on your desk but it also folds away small so you can carry it around easily everyday. It is a bargain at £12.50 and Bureau Direct do free delivery over £10! The pencil case also comes in Black/Red, Light Green/Dark Green and Turquoise/Navy. However, I am partial to the Grey/Pink colour scheme! I am completely in love with mine and will definitely be carrying mine everywhere I go! 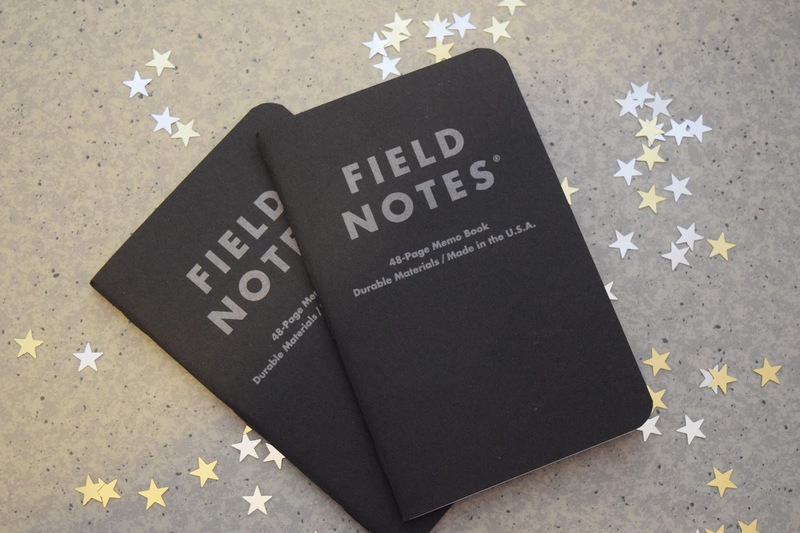 Another perfect gift for Father's Day are these Field Notes** in Pitch Black and "The Expedition" Limited Edition, both of which are £7.95, will both be winners. 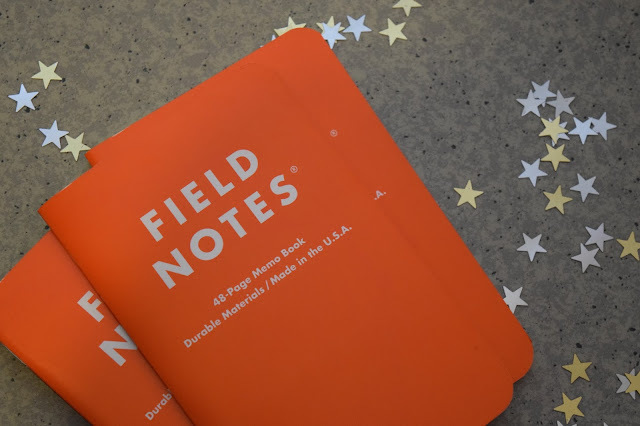 The Pitch Black Collection would be a classier version of the Field Notes with dot grid paper making it a bit more versatile than your standard lined paper. The Expedition Collection is perfect for anyone who likes to be outdoors and as we all know the English weather all too well, this pack of 3 notebooks are waterproof. It's true, I tested them, the whole book is waterproof! So, if your Dad is likely to be in the rainy weather and needs some notes, these notebooks would be absolutely perfect!! Now, without completely jinxing my entire life and having literally everything taken away again, 2016 seems to be working out pretty alright for me. Yes, it's June, no I haven't lost weight, no I haven't saved nearly as much money as I would have liked to but I am very determined to turn that all around this month. However, I have got a new job, again. Yes, that's the second time this year that I've gone "HEY I've got a new job and my life is coming together". But, it's really coming together this time. The last two months have been pretty insane if you ask me, but the best kind of insane you could ever imagine. So last time I wrote about my job, I told you I got full time Supervisor but really the goal was, and has been since the beginning of the year, to get an Assistant Manager position. Well, this time, I've really done it. I took a chance to be really honest, I must have applied for about 20 odd jobs and then the same jobs kept coming up so there weren't really anymore to apply for. There's a new store opening in my area, a brand which I know and would have loved to have worked for, so I got an interview and the next morning got a call, so I was pretty happy to say the least! It was a massive relief to see what I had worked so hard for, become a reality. I wrote a post in April on What is Happiness? Wellllll, it's pretty great, as a follow up on that you can totally check out my Instagram to see what, or should I say who, has played a big part in that. Because, in April I couldn't really share what/who it was. Soz. This post has been far too bitty for my liking, but that's my life, and it's sort of coming together, and that's kind of a pretty amazing feeling. Now, if anyone has any weight loss motivation or money saving tips, I would be forever grateful because I need all the help right now! P.S. I have been so bad at blogging for months now, but I promise (or will aim to) to blog 3 days a week, on Monday, Wednesday and Friday's for the foreseeable future, and if you get more than that then you lucky things, if I barely scrape that, soz.